We are thrilled to announce that SVA School of Film & Animation is our first Academic Affiliate, a new level of association with the Coalition. We are so excited to have SVA join our other newest members: NYWICI (N.Y. Women in Communications), Associated Musicians of Greater New York Local 802 AFM, and affiliate member org, LA FPI (Los Angeles Female Playwrights Initiative). More organizations are coming aboard all the time! Please let us know if you are involved with an organization which might be interested in membership. We hope you can join us for our yearly free SWAN Day Event, always on the last Saturday of March. They're always great screenings with talkbacks and networking, free to all, and many Coalition board members and organization reps will be in attendance--a great time to meet us and each other. If you're in another city, check out all the SWAN Day events happening worldwide on the WomenArts website, all through March. 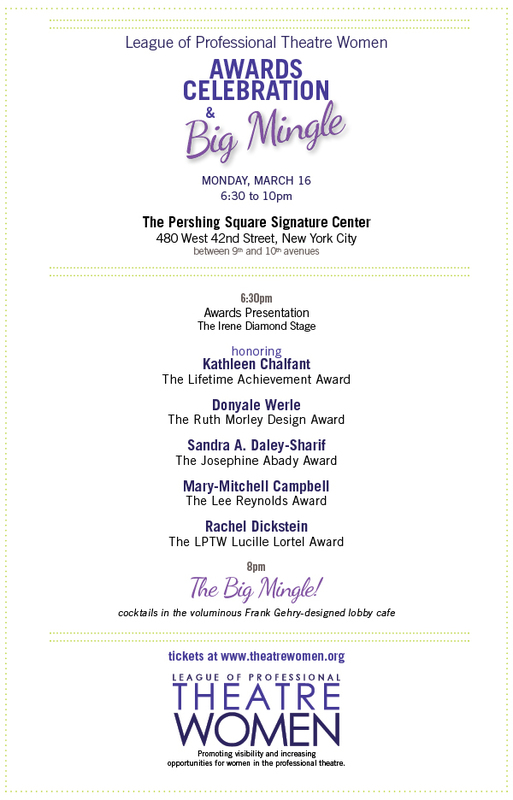 All Coalition member org members get the "Member" rate for League of Professional Theatre Women's upcoming star-studded Awards Celebration and Big Mingle on March 16. Check out the link for more information. And don't forget the LPTW Online Auction. an annual event on the last Saturday of March that celebrates women artists. and SAG-AFTRA for providing the reception. This event is FREE and FIRST COME FIRST SERVED. Member rate of $100 per ticket all inclusive for all Coalition org members. Questions about ticketing? E-mail lizzy@theatrewomen.org. Make Your Bid to Support Women in Theatre! Want to get a fabulous prize and help support women in theatre? Visit the 2015 LPTW Annual Auction online and bid on exciting items! All proceeds will go to the League of Professional Theatre Women to help further our mission of promoting visibility and creating opportunity for women in the arts. The auction will run through Tuesday, March 17 with items ranging from Broadway tickets to Hugh Jackman recording your voicemail message! The Women in the Arts & Media Coalition, Inc. will present the 2015 Collaboration Award recognizing Women Working with Women. The $1,000 Collaboration Award and additional honorable mentions are designed to encourage professional women in the arts and media from different specializations to work collaboratively on the creation of a new artistic work. As the aim of the award is to encourage women to work collaboratively with women of other disciplines, each collaborative team must be comprised of female members of different Coalition associations, unions, guilds and affiliates of The Coalition. Eligible teams may submit any form of creative collaboration on a new work that had its first public performance within the last two years 2013-2015. A Public Performance can include, but is not limited to a staged reading, gallery show, screenings, concert series, etc. Submissions will be judged on the basis of artistic excellence, diversity, and clarity. All topics and subjects will be considered. Special attention shall be given to those projects which reflect the goals of the Coalition: to advance women's work and women's issues. The team that has been selected and the honorable mentions will be invited to be recognized at an awards ceremony in New York in October 2015. Women outside of New York may send a designee to speak about their project and accept the award. The application is online at www.womenartsmediacoalition.org and can be saved and re-worked there until submitted to us. A pdf of the application may also be accessed there in order to work on a submission offline. Deadline: The deadline for the return of completed applications is midnight 11:59 p.m. Thursday, April 30, 2015. Award winners will be announced by September, 2015. Following the success of the program of short animated films Annecy presents the New Faces of the French Animation organized by the Cultural Services of the French Embassy in Canada in 2014, it was decided to extend this initiative to the United States. A new program was developed by Marcel Jean, artistic director of the Annecy International Animated Film Festival. It is composed of nine best French short animated films from the 2014 Festival. Synopsis: A woman is forced by her husband to be silent forever. But when she listens to nature she finds her own song and hopes for a new life. Synopsis: Perceptions of reality are sometimes beyond belief. A childrelives a dramatic event that had been buried for a long time. Synopsis: Anatole is always dragging his little pan behind him. It fell on him one day, for no reason. Ever since, it gets caught everywhere and prevents him from going forward. Synopsis: A wealthy lady and a young knight are frolicking in the forest when they come across Excalibur, which leads them into a silly game of seduction. 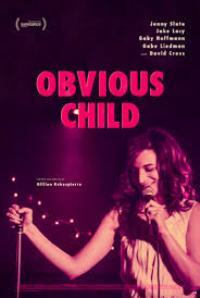 Synopsis: Chloe and Louis are secretly in love with each other. Their gestures replace words. When they dance, each word is choreography. One evening, Louis invites Chloe for dinner, she brings some lost kittens. Allergic to cats, Louis has trouble relaxing..
Synopsis: A film that seriously questions one’s existence while it only shows animated pictures drawn by me... Am I not a picture drawn by someone else?